A “consistent body of knowledge has emerged” showing that the most common health effects of the September 11, 2001, terrorist attack on the World Trade Center involve the lungs and the mind, according to an online commentary in the Journal of the American Medical Association. Rates of PTSD have been high among those who were injured, heavily exposed to dust, worked for extended periods in rescue or recovery work, or lost a loved one or colleague, wrote Lorna Thorpe, Ph.D., of the City University of New York School of Public Health, and Stephen Friedman, M.D., M.P.H., of the New York City Department of Health and Mental Hygiene. “Delineation of responsibility for worker-safety oversight, improved protective equipment for workers, structured shift rotations of responders, rapid screening of high-risk populations,...and early access to mental health treatment are just some of the most important lessons learned,” the researchers concluded. 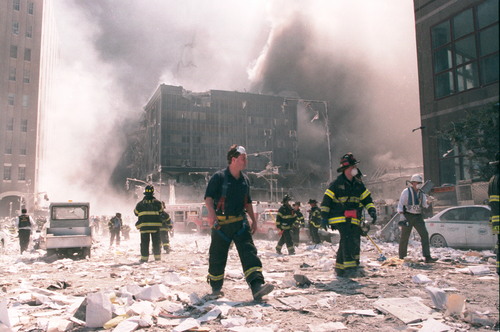 For much more on what researchers have learned about the mental health effects of the 9/11 attacks, see Psychiatric News at http://pn.psychiatryonline.org/content/46/18/1.1.full and http://pn.psychiatryonline.org/content/46/18/14.1.full.